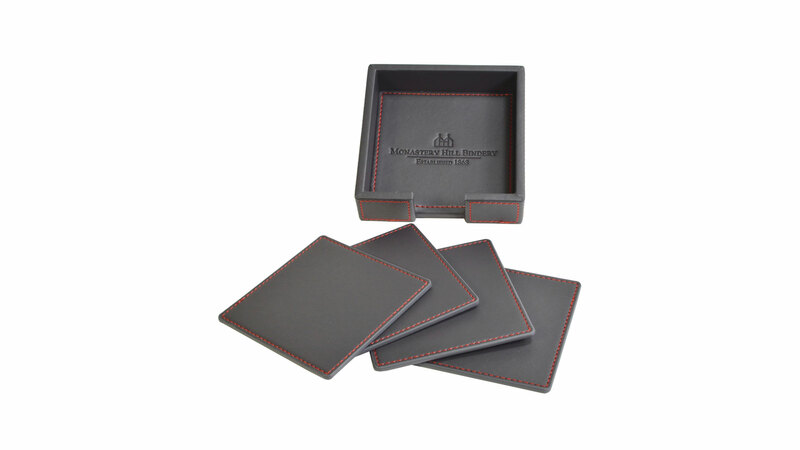 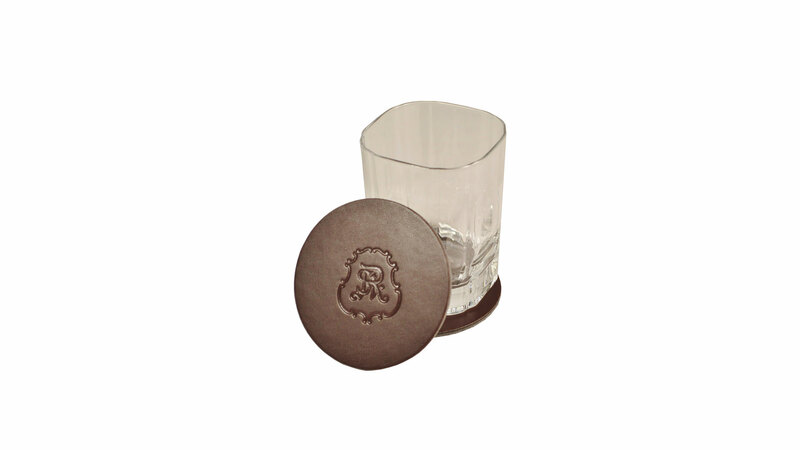 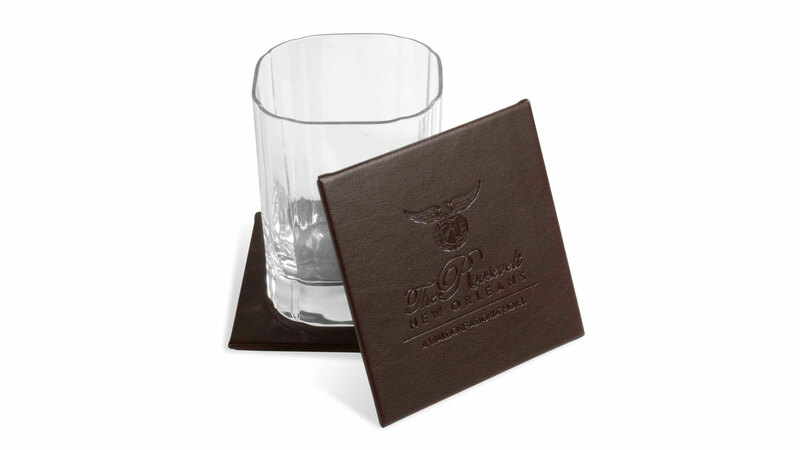 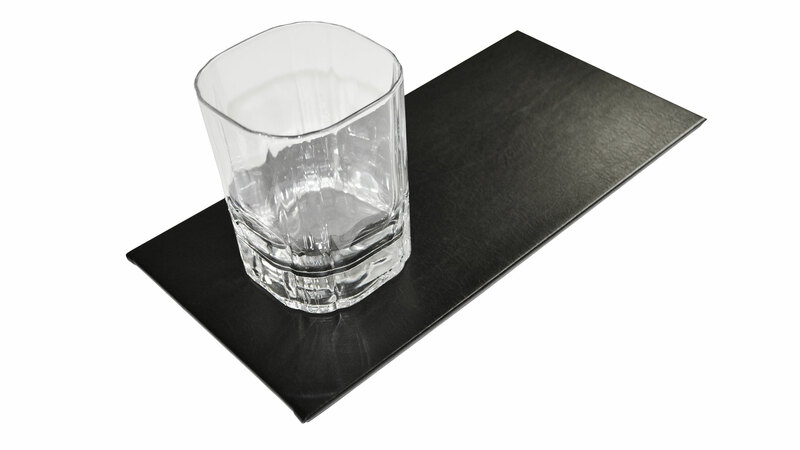 Our leather coasters are an essential addition to your boardroom setting. 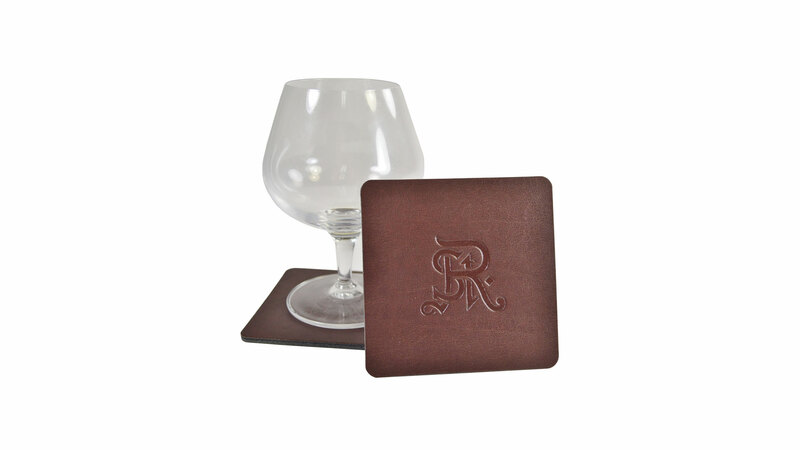 They come in a 4” square design with rounded corners, or a circular design that is 3.75” in diameter. 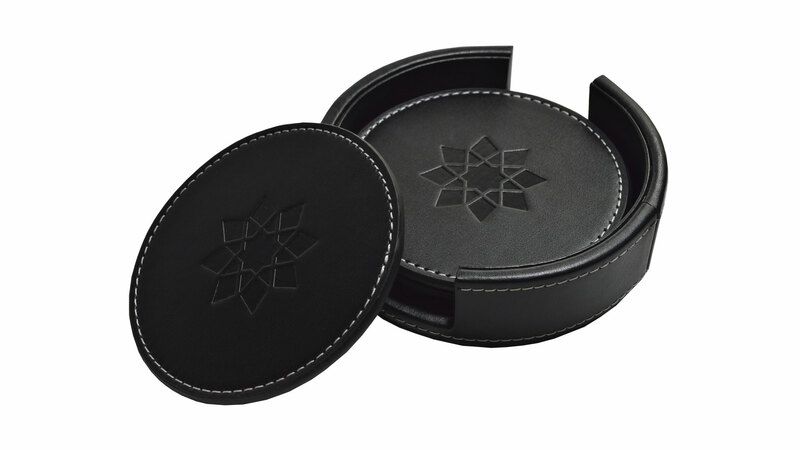 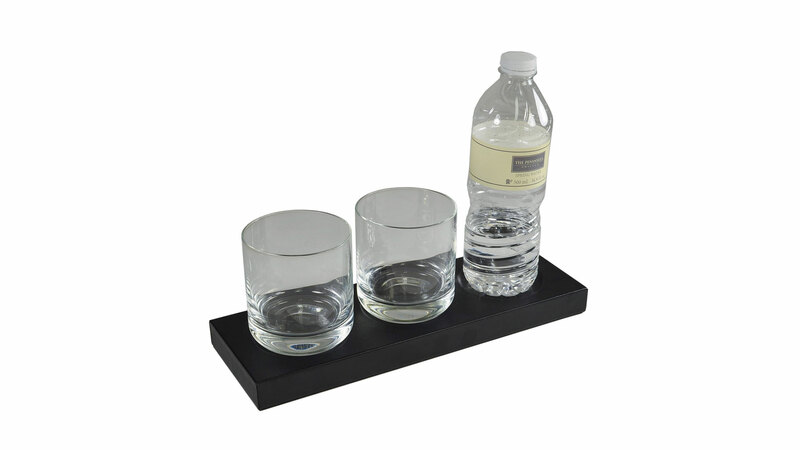 The special neoprene backing prevents the coaster from sliding and protects your conference room table from water marks.